Own a unique and beautiful piece of lunar history, Alan Bean’s Getting Ready to Ride, is painted by the first and only artist to visit another world. Each canvas is signed by the legendary Apollo 12 astronaut, moonwalker and artist ― each a work of art, each a historic document, each your own personal connection to traveling in space. 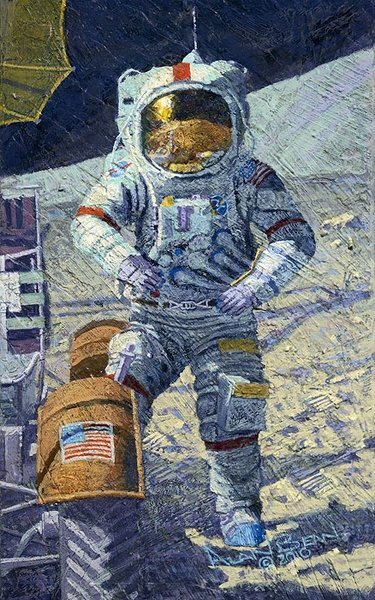 Own a Fine Art Edition Canvas by astronaut and explorer Alan Bean and you will never look at the Moon the same way again.